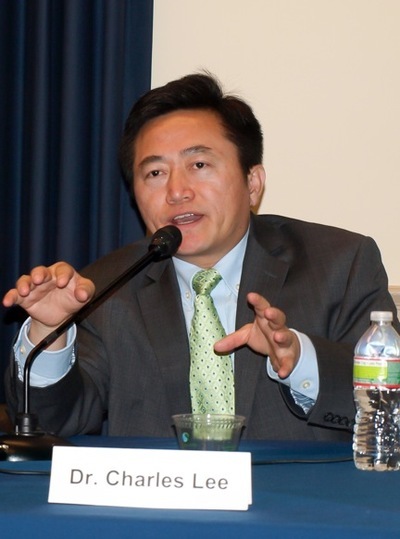 (Minghui.org) On August 1, about 100 guests attended a private screening of “Free China: The Courage to Believe” at the Rayburn House Congressional Building in Washington DC. As many congressional offices continue to learn about forced organ harvesting of Falun Gong practitioners in China and consider co-sponsoring House Resolution 281, the film offers additional perspectives. Many guests are congressional staffers from the Senate and the House. A few are from other government agencies. A congressional committee staff learns from the film that the Chinese government at one time encouraged Falun Gong and thought it was good. Many guests are impressed by the film’s stories of Jennifer Zeng and Charles Lee. “I thought Jennifer and Charles were magnificent spokespeople, really enjoyed learning from them. I was horrified by their personal experiences. Charles was an American citizen and how he was treated!” says the congressional committee staff. Mr. Chatodd Floyd comes from Small Business Administration located at a nearby building. He has come specifically for the screening. Prior to this, he hasn’t heard of Falun Gong. This is the fourth time of “Free China” private screening in the Congress. The first screening of the preliminary version of the movie occurred during July 20 events in 2011 at the Rayburn House Congressional Building. Congressman Chris Smith of New Jersey and the Foreign Affairs Committee hosted it. The second and third screenings in September 2012 and April 2013 were both held at the Capitol Visitor Center. On September 18, 2012, as part of the international launch of “Free China” private screening, a panel of distinguished speakers including Congressman Chris Smith, Dr. Katrina Lantos Swett, Chair of U.S. Commissions on International Religious Freedom (USCIRF), Michael Horowitz with the Hudson Institute, and Michael Perlman, Director of “Free China” engaged in-depth discussions on human rights in China with the audience. Directed by Michael Perlman of “Tibet: Beyond Fear,” and co-produced by New Tang Dynasty Television (NTD), the award winning 53-minute documentary tells the remarkable survival stories of two individuals, who were tortured and subjected to slave labor for their spiritual beliefs. They are two among the millions of peaceful Falun Gong practitioners in China. Through their stories, the film puts a human face on the Chinese state’s human rights abuses, including arbitrary detention of dissidents, export of products made by forced prison labor to the West, and the harvesting of organs from live prisoners of conscience.